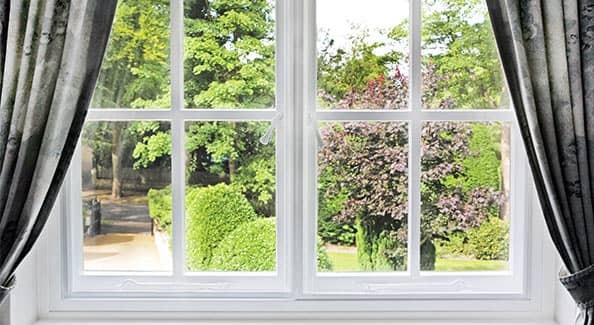 Secondary glazing is the process through which a discreet, internal window is fitted to an existing single or double-glazed window to enhance performance. It is seen as a desirable alternative to double glazing – especially for heritage properties – as it allows you to maintain the external character of the structure whilst taking advantage of the benefits created by double glazing. 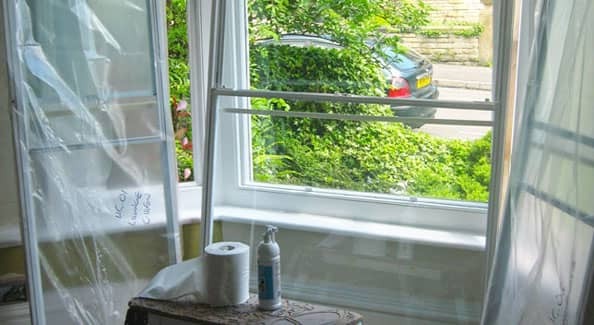 When you take advantage of secondary double glazing, you enjoy all the benefits that come with an extra layer of insulation over your windows. This cuts down on heat transfer, which means that your home stays warmer in the winter and cooler in the summer. Our glazing products also insulates against sound and enhances the security of your property. Read more about the benefits of secondary glazing here. Secondary glazing exceeds the value of traditional double glazing. 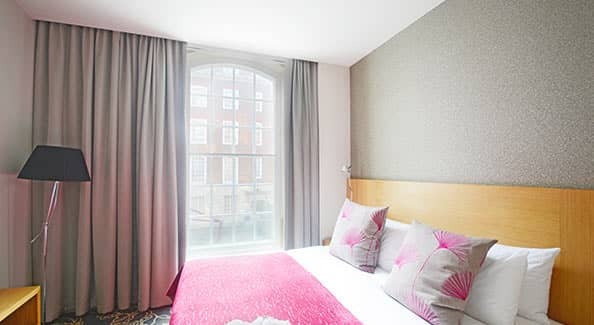 In addition to providing outstanding thermal and noise insulation, this style of glazing is also extremely discrete – to the extent that a casual observer would be unlikely to notice its presence at all. Your home will be warm and quiet with our glazing. This level of subtlety allows historic homes to retain their character whilst taking advantage of more recent breakthroughs in additional glazing. We offer a wide variety of styles and finishes that you can install at your property, ensuring that the finish you choose blends perfectly with the existing design, style and motif that are already in place. Need Help Choosing the Right Secondary Glazing? If you have a question about secondary glazing, and what window type is the right choice for your property, please don’t hesitate to contact the Granada team. Secondary glazing will improve your home’s market value as well as this, secondary glazing will create a safer, more thermally efficient and better looking home. Benefit from improved market value and make your property more attractive to prospective buyers with additional glazing. Reward your home with more space. If your home, conservatory or extension is too cold or too hot to spend time in, you’ll be able to turn it into a functional room once again with secondary double glazing that’ll regulate its temperature. Secondary glazing will last for a very long time. Granada will fit your secondary double glazing flawlessly and in such a way that it will add lasting value to your home. Contact us to find out more and ask us for a free secondary glazing quote. There are many reasons for homeowners to consider installing secondary glazing from Granada – beginning with thermal insulation. Air-conditioned spaces allow in less heat during the summer, while less heat escapes during the winter. Needless to say, reducing heat transfer through the windows can have a significant effect on your monthly heating and cooling bills. And with the range of additional glazing styles we have available, you’ll end up with an attractive, unobtrusive finish that is sympathetic to the surroundings and existing window styles. The Granada ethos is simple. We value transparency and always strive to exceed expectations regarding the sourcing, supply and installation of high-quality secondary double glazing. Our architectural and commercial partners trust Granada to expertly design, specify and install secondary glazing and windows on their properties. We serve as project managers for every glazing task we’re chartered to carry out, offering a seamless start-to-finish service. Whether you’re designing a new property or renovating an existing one, Granada is ready to assist. Contact us today for more information about our secondary double glazing and more. At Granada, we value our trade customers. They’re the lifeblood of our business, providing us with opportunities to expand our service area and deliver secondary glazing to a broader base of customers. We focus on providing support materials, installation videos, technical guidance, display samples and excellent response rates. With that in mind, we do everything we can to maintain an impressive product portfolio and to provide our secondary glazing products at competitive price points. We understand that our partners rely on us to help them maintain a strong reputation, which is why we offer in-depth technical support and insist on using the highest quality products for our additional glazing. There are many reasons for homeowners to consider installing secondary double glazing from Granada – beginning with thermal insulation. Air-conditioned spaces allow in less heat during the summer, while less heat escapes during the winter. Needless to say, reducing heat transfer through the windows can have a significant effect on your monthly heating and cooling bills. And with the range of styles we have available, you’ll end up with an attractive, unobtrusive finish that is sympathetic to the surroundings and existing window styles. The Granada ethos is simple. We value transparency and always strive to exceed expectations in regard to the sourcing, supply and installation of high-quality glazing products. Our architectural and commercial partners trust Granada to expertly design, specify and install windows on their properties. We serve as project managers for every glazing task we’re chartered to carry out, offering a seamless start-to-finish service. Whether you’re designing a new property or renovating an existing one, Granada is ready to assist. At Granada, we value our trade customers. They’re the lifeblood of our business, providing us with opportunities to expand our service area and deliver our products to a broader base of customers. We focus on providing support materials, installation videos, technical guidance, display samples and excellent response rates. With that in mind, we do everything we can to maintain an impressive product portfolio and to provide our secondary glazing products at competitive price points. We understand that our partners rely on us to help them maintain a strong reputation, which is why we offer in-depth technical support and insist on using the highest quality products. Secondary double glazing offers the most effective sound insulation – significantly outperforming double glazing. Our windows can reduce noise levels by up to 80%. Secondary glazing improves the thermal insulation of existing single-glazed windows – reduces heat loss through the window by around 65% – around 10% more than double glazing. Secondary double glazing offers an affordable, discreet, highly effective solution to enhancing building security. No external access is required, ideal for multi-storey buildings. One of the most important benefits of secondary glazing is the fact that it can enhance the technical performance of a property without detracting from its charm or character. By taking advantage of our additional glazing products, you’ll also benefit from added security, reduced draughts and 65 percent boost in thermal performance when compared to single-glazed windows. Secondary double glazing will significantly enhance your property. For more information about the benefits of our secondary glazing – or to discuss our range of high-performing windows – please contact our experienced team. We will be able to discuss your design objectives in more detail and recommend a suitable product. If you would like secondary double glazing prices, please use our online quote tool. You can use it as many times you like to generate cost comparisons. Granada has the experience to install your secondary double glazing perfectly the first time, so that it adds long-term value to your home. Our glazing offers better value for money compared to regular double glazing as it is often cheaper but has more benefits. Get your free estimate today and see the difference for yourself. Timber windows give a property, charm and character. Over time they can leak vital heat, for the winter months, this can cause a room to feel cold and also increase energy bills.